Finally, finally I'm blogging, so lets keep going! 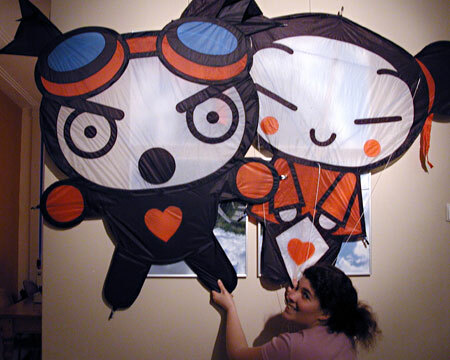 Ofcourse Pucca and Garu weren't my first kites. 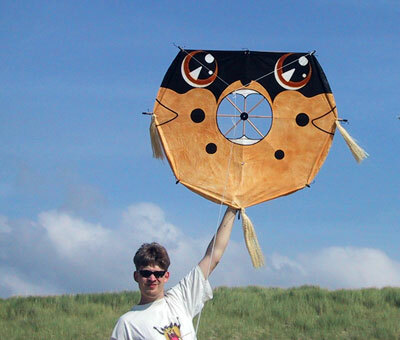 Although they were my first "experimental" kites. As in no traditional kite shape or building plan. They are my invention and they love showing this by flying... eh, enthousiastically energetic :-/. Let's just say they need a watchfull eye at all times. Read more about Presenting: Garu!!! 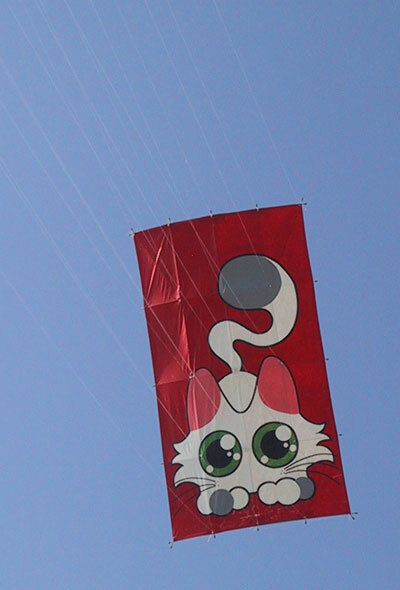 Read more about Oostende Kite Expo winner!